Here is the analogy I use in Linux Kernel Development. Processes are the abstraction of running programs: A binary image, virtualized memory, various kernel resources, an associated security context, and so on. Threads are the unit of execution in a process: A virtualized processor, a stack, and program state. Put another way, processes are running binaries and threads are the smallest unit of execution schedulable by an operating system’s process scheduler. A process contains one or more threads. In single-threaded processes, the process contains one thread. You can say the thread is the process—there is one thing going on. In multithreaded processes, the process contains more than one thread—there’s more than one thing going on. The two main virtualized abstractions in modern operating systems are virtualized memory and a virtualized processor. Both afford the illusion to running processes that they alone consume the machine’s resources. Virtualized memory gives processes a unique view of memory that seamlessly maps back to physical RAM or on-disk storage (swap space). A virtualized processor lets processes act as if they alone run on the system, when in fact multiple processes are multitasking across (perhaps) multiple processors. Virtualized memory is associated with the process and not the thread. Thus, threads share the same memory address space. Conversely, a virtualized processor is associated with each thread. Each thread is an independent schedulable entity. Parallelism. In machines with multiple processors, threads provide an efficient way to achieve true parallelism. As each thread receives its own virtualized processor and is an independently-schedulable entity, multiple threads may run on multiple processors at the same time, improving a system’s throughput. To the extent that threads are used to achieve parallelism—that is, there are no more threads than processors—the “threads are for people who can’t program state machines” quote does not apply. Blocking I/O. Without threads, blocking I/O halts the whole process. This can be detrimental to both throughput and latency. In a multithreaded process, individual threads may block, waiting on I/O, while other threads make forward progress. Asynchronous & non-blocking I/O are alternative solutions to threads for this issue. Memory savings. Threads provide an efficient way to share memory yet utilize multiple units of execution. In this manner they are an alternative to multiple processes. The cost of these benefits are increased complexity in the form of needing to manage concurrency through mechanisms such as mutexes and condition variables. Given the growing trend toward processors sporting multiple cores and systems sporting multiple processors, threading is only going to become a more important tool in system programming. The Tata Fact’s – What they have given? One of my friend have Written and shared this on Facebook. At first I too thought, not to waste time reading this, But Its far more valuable than what I had thought. I didnt knew most of these facts before 😦 Thought many of us would not have known these. So, Im sharing this with you, as its written on the link below, with just few formatting for easy read. Please, spend some time to read this. Its Money or Knowledge or Love or what ever it is. We are respected for what we give. Not for what we have. Respect is earned! And such a respect will never fade away. These are the lesser known facts about Tata I came to know very recently . I wrote this note as I was pained to see some people linking all wealthy people with corruption. While facts about other great people are widely available on web, facts about Tata aren’t known much. Some information is present on books. Maybe Tatas deliberately haven’t focussed much on marketing their own goodness. Of late, there are ads like ‘Values stronger than steel’ from Tata. Compared to the magnum opus of their work, their publicity pales in comparison. Even as a young kid, I have heard Tata’s name. “Tata Birla” is a term synonymous with rich. I knew about Tata as another business man who sought to become rich and succeeded. But there is much more…. protesting against British. The lawyer said during a meeting “We have got so much contributions from Tata and we have to work hard to justify that”. After Dorab/Ratan , JRD Tata becomes chairman. JRD Tata was instrumental in giving wings to India by building Tata Airlines, which ultimately became Air India .Kalpana Chawla, the Indian-born astronaut cited JRD and his pioneering airmail flights as her inspiration for taking up aeronautics. In 1992, because of his selfless humanitarian endeavors, JRD Tata was awarded India’s highest civilian honor, the Bharat Ratna – rare for a businessman to get in the License Raj. After JRD Tata, Ratan Tata becomes chairman in 1992. It was around 1870s. JN Tata purchases a small cotton mill. Over the next 20 years he made it successful one. He was a running a successful business in India. The most significant thing is the way he treated his employees – sick leaves / hospital facilities / school for children / Provident Fund / Life Insurance/ Room conditioners to prevent dust. All these seems trivial in today’s world. But in the industrial age, even workers in England worked in very inhuman conditions and facilities like insurance were unheard of. ( the condition of workers in that era is captured well in many of Charles Dicken’s novels ). Tata was on a sea voyage where he me Swami Vivekananda. Swami tells him that the future of India is in young people – especially young people working in science and research have to ability to rewrite the history of nation. The term ‘Science’ for many businessmen may not mean much… but Tata was not a mere businessman. This meeting with Swami Vivekanand would turn important and establish basis for scientific research in India. The permission to setup the institute came years after JN Tatas death. JN Tata had instructed his sons to carry on the struggle of establishing the institute after his death.. A newspaper in US wrote “The amount millions is more than enough to establish an university in US and in a country like India it is a great amount”. J.N.Tata gave one third of his wealth to establish IISc. He had 2 sons Dorab and Ratan, so many consider that he considered IISc to be his another child. Originally the institute was to be setup in Bombay. The nobel prize winning scientist Ramsey was asked to tour India to find the best place conducive to research. He suggested Bangalore, but Tata favored Bombay. Finally, the Maharaja of Mysore offered vast amount of lands and persuaded Tata to setup the institute at Bangalore. JRD Tata was the first Indian to have flying license.His license reads #1. His interest in aviation caused him to start Air India and Indian Airlines. The Maharaja symbol of these airlines was his conception. Air India was providing the finest service in aviation at moderate rates until its take over by Government. Tatas provide scholarship for people who have potential , but economic condition prevent them continuing their studies. One such candidate applied to Tata for scholarship. Though his love was political science, he chose to enroll in English literatue due to financial constraints . After analyzing the applicant, the Tatas persuaded him to study political science offering to pay the entire tuition fees and provide stipend for expenses also. This incident was later narrated by K.R.Narayanan who became President of India. If not for the scholarship, K.R.Narayanan might have become professor in English literature. Every year thousands of people apply for Tata scholarship, even among wealthy people. There is a pride in being a Tata Scholar. There are people like Raja Ramanna ( space scientists) and many more who benefited from it. In 1912, the London School of Economics established the Ratan Tata Department. The following year it advertised for a position of a lecturer in that department for which two people applied. One was a young man called Clement Atlee, who after careful consideration was selected for this position. About 32-years later Atlee became the Prime Minister of Britain. Interesting enough that it was under his government that India was granted independence in 1947.
and have become brands in their own right like Voltas, Tanishq , Titan, Star bazaar, Tetley. Lakme was established when Nehru banned import of cosmetics and suggested to Tata that we need Indian products. The acquired companies are great European companies. Only few decades back, getting employed in an European company was a dream come true . Owning an European company was far from our dreams. Air India and Indian Airlines were taken over by the Government when they nationalized Airlines. JRD Tata was stripped of his chairman position and this was not even informed to him. Only the succeeding chairman called him on phone and informed that he is taking over. Many other constraints during the license raj as the general philosophy of the govt was that businessmen are evil people. The Tatas are of Parsi origin – descend from a group of Zoroastrians of Iran who immigrated to India during an invasion in 10th century. The then Gujarat king offered home for them. The Parsis would become prominent – Pherozeshah Mehta, Dadabhai Naoroji, Bhikaiji Cama, Homi Bhaba, Homi Sethna, Godrej, Wadia, Shapoorji Pallonji, Zubin Metha, Field Marshal Manekshaw. Thanks to that King for allowing the Parsis. The parsi belief is ‘HUMATA HUKTA HAVARASHTA’- meaning good thoughts, words, deeds. Think about it – they are technically foreigners. And they have done greater good than many politicans with ancestral origins in India. Before coming to IISc , I knew Tata only as a businessman. In IISc, the name of Tata was omnipresent – Tata Auditorium, Tata Library. Tata is the chairman of the IISc trustees. IISc itself is known only as Tata institute in bangalore. I first thought why should a government institute like IISc have to associate so much with Tata, I also thought such associations might affect the autonomy of the institute. Later I realized the very existence of the institute owes to legacy of Tata. but unluckily, i could get this. If anyone have it or any pointers, please let me know. Author RajkumarPosted on November 27, 2012 May 21, 2013 Categories LifeTags IISC, Life, TataLeave a comment on The Tata Fact’s – What they have given? A leaf procedure is a procedure/function, which doesnt call any other procedure. A non-leaf procedure is a procedure/function, which call’s some other procedure within them. 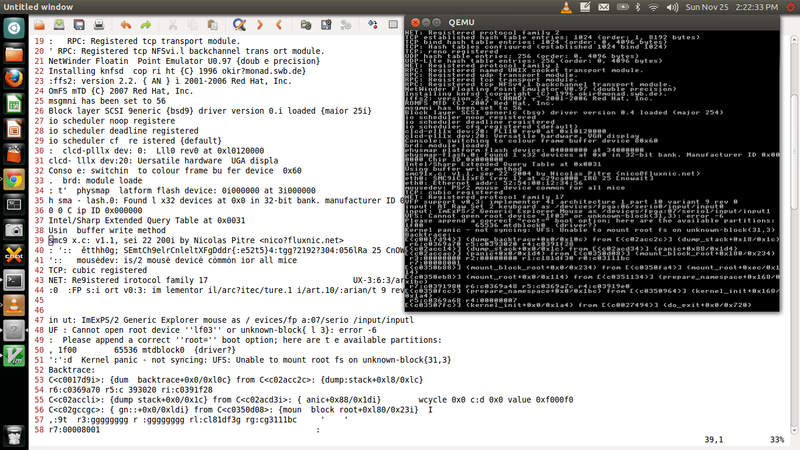 Goal : To create a Make file to generate an executable using makefile in Ubuntu. Requirements : Ubuntu, Knowledge of c programming. First we will create a simple hello world c program. This will generate a executable file as a.out. Every c file will have some header files included. Its good to put up files in a organized manner. So we put our modules, main and header files into source, test and include dirctory respectively as bellow. And build directory to do the building. we will put the same command used to build previously, but with little modifications. What ever following after the ‘:’ are the dependencies to be checked for. Now, we can take our makefile to the next step. Enhancements. Still our code is very simple. We just have evry few files, so we can write the names manually. What if the number of files is getting increased? We should make the Makefile easy to manage. We are aliasing the names in more readable forms by assigning it to some variables or defines.